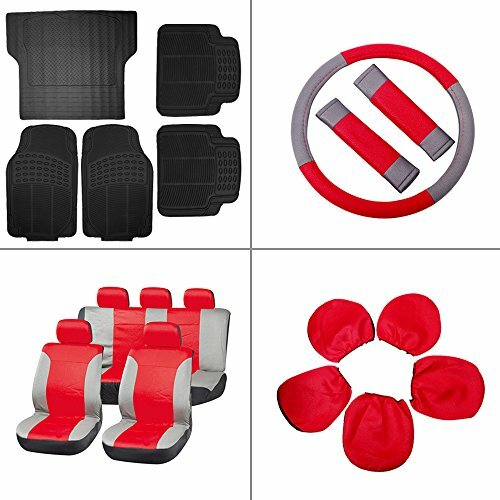 Why we need the Floor mat and seat cover? possibility of interior pollution and damage. prerequisites for safe driving, and it is also an effective means to ease driving fatigue. Dimensions: Front: 28.35" x 17.7" Rear: 17.5" x 17" 55" x 43" Trunk Liner:55" x 43"
Avoid using hard objects such as steel balls to wash the mat to avoid scratching the surface. Wash the seat cover with a low alkali content detergent and soak for 10 minutes in cold water or warm water before washing. For areas with relatively concentrated sweat, use a soft-bristle brush to dip the diluted cleaning agent and rub it with your hands. Do not machine wash and spin dry to avoid shrinkage or deformation.